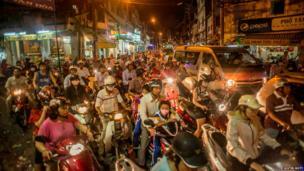 Fast-paced reform in Vietnam has brought many benefits but challenges too. Justin Mott is an American photographer based in Vietnam who works throughout South East Asia, combining reportage for news outlets with commercial projects. This selection of his photographs from Vietnam begins with an image of a farmer in a cornfield just outside the capital Hanoi. 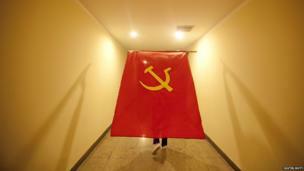 The communist hammer-and-sickle symbol remains a common sight in Vietnam. This performer is a participant at the 11th national congress of the Vietnamese Communist Party. Pham Nhat Vuong is Vietnam's first billionaire. His first company made instant noodles in Ukraine and was sold to Nestle. The 44-year-old used the money to invest in Vietnam. He now oversees a conglomerate with interests in retail and property. Vietnam has attracted significant foreign investment, with many companies building factories to make products for export and the country's growing internal market. 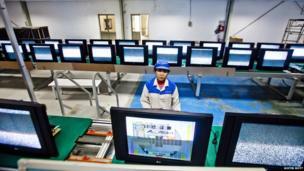 This worker assembles and packages LG televisions for domestic consumers. Vietnam's rapid economic growth has brought a huge influx of people into cities such as Hanoi and Ho Chi Minh City, formerly Saigon. But these two centres are struggling to keep up with the demands of this expanding population. 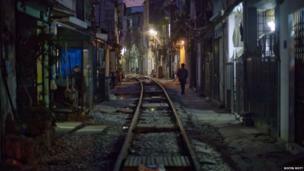 This railway line goes right through a slum neighbourhood in the capital. The effects of Agent Orange, the toxic defoliant used by the US during the Vietnam War, is still affecting children born 50 years after the conflict. Just outside Hanoi, there are 124 severely disabled children who were abandoned at birth in the Ba Vi orphanage, which struggles to care for them. 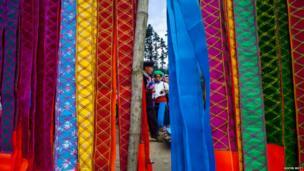 A traditional clothing vendor at a Sunday market in Ha Giang province, the northernmost part of Vietnam. 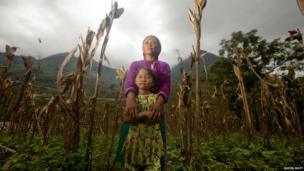 This remote, underdeveloped area that borders China is home to many of Vietnam's ethnic minorities. 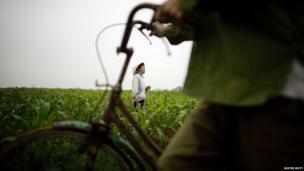 Trafficking of women and children is a problem in the remoter parts of Vietnam. Vua Thi Sua was sold to an elderly man in China as a bride and had a daughter (pictured) by him. Today the 45-year-old is employed at a co-operative that finds work for those who have been rescued from their captors. Flooding of Vietnam's cities and low-lying south is a major problem. 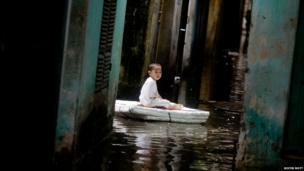 Hanoi was badly affected in 2008 when this shot was taken of Vu Giam An, aged three, on a homemade styrofoam raft outside his house. 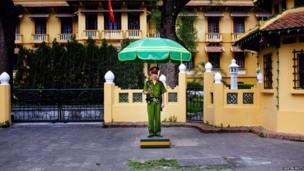 A police officer guarding a government building in Hanoi. The city, founded by an ancient Vietnamese king, survived American bombing during the war and deep poverty in the decade afterwards and is now emerging as a modern capital of more than six million people. Ho Chi Minh City is also home to almost six million people. With growing prosperity and an influx of migrant workers, the city's rush hour can be exceptionally busy and remarkably slow. Students relaxing in front of the Ho Chi Minh Mausoleum in Hanoi during celebrations marking the capital's 1,000th anniversary. Ho, who was president of North Vietnam, died at 79 in September 1969 with the war still far from resolved.